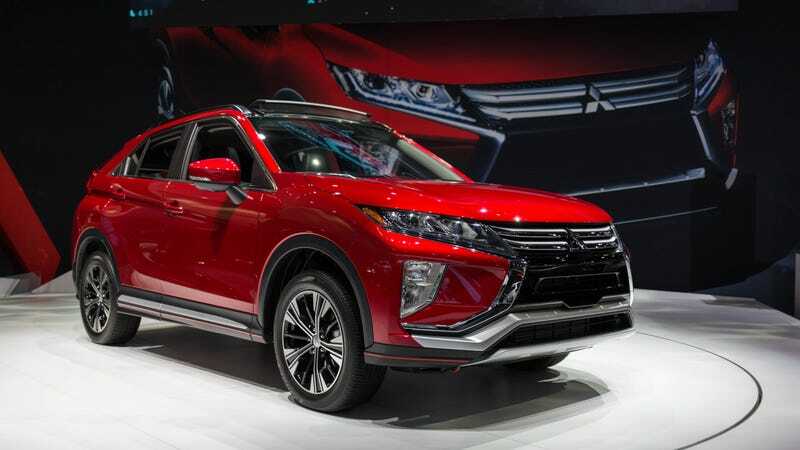 Yes, it’s exactly what you think: Mitsubishi took the name of a sporty little car that was once great and stuck it on a new crossover to join all the other lumpy crossovers currently saturating our market: the 2018 Mitsubishi Eclipse Cross. And while I could easily slip into a blind rage over the whole ordeal, I won’t. I’m going to wait to drive it. I want to give the thing a chance. The new Eclipse Cross, which debuted at the 2017 Los Angeles Auto Show earlier this week, is actually quite cheap with its $23,295 starting price. That alone should grab your attention, since cars in general are getting more and more expensive. It comes standard with a 1.5-liter direct-injected turbocharged engine that makes 152 horsepower and 184 lb-ft of torque. There’s all-wheel drive and a bunch of safety features like blind spot warning, lane change assist, lane departure warning, adaptive cruise control and a multi-vide camera system. In person, it was fine. Inoffensive. It looked like a crossover. The red paint was nice. The back kind of looked like... something else. Inside the car was where I had some concerns. The display vehicle had leather seats, but the inside was covered in a vast amount of shiny “piano black” plastic, already smudgy with fingerprints. The mousepad-styled infotainment navigator looked glued onto the console as an afterthought. Not great, and probably won’t age very well. But! I’m still curious about how the Eclipse Cross drives. I found the seats pretty comfortable for the short time that I sat in them. Perhaps the engine, despite its low-sounding power figures, is actually super fun and peppy when you actually get out to use it. And I suppose part of me is a little worried about Mitsubishi’s presence in the United States. After the company axed the Lancer here with no real successor to follow, the company’s only real fun car standing went with it. Mitsubishi does fine for itself in Central/South America and Asia because its lineups are much richer there. Perhaps the Eclipse Cross is an attempt at expanding the sad American portfolio. I support this. In my mind, it’s only when a car company makes enough money selling the pedestrian stuff that it can start focusing on the enthusiast stuff. I drove a silly Mitsubishi Lancer Evolution X Final Edition last year and I still think about that goddamn car. It was one of the best I’d ever driven. 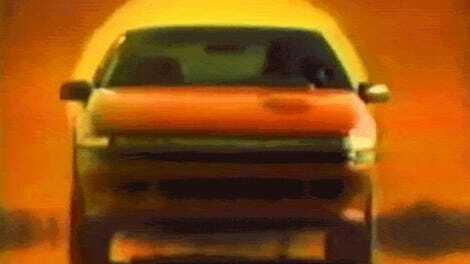 If the Eclipse Cross is the first step to bringing something like that back to us, then I’m open to its existence.